The Malaysiakini website was once again attacked starting from 2.45pm yesterday. Although the cyberattack continued, the site was fully restored at 11.30pm. It appeared that this was not an isolated attack against Malaysiakini – simultaneous attacks were launch against a number of other websites in the country. At press time, most these websites, including those of Opposition parties DAP, PAS and PKR remain unavailable. The attack against Malaysiakini was the most sophisticated to date. “It used a complex attack pattern, and not easily detectable,” said CEO Premesh Chandran. The attack – commonly known as a Distributed Denial of Service (DDoS) – managed to overwhelm the Malaysiakini servers. It involves using a large number of computers to flood Malaysiakini’s servers with fake traffic, causing a traffic jam which denies access to legitimate users. The attack is normally carried out by international syndicates paid to disrupt targeted websites. However, Malaysiakini’s technology team was able to bring the site back up after battling the debilitating attack for eight hours. Posted in civil society issues, Communications, Democracy, Elections, journalism, Politics. 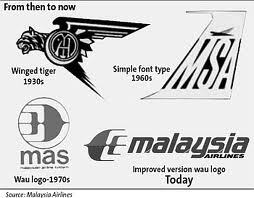 In MAS, MH stands for Malaysian hospitality which many of us know is highly overrated; MH might as well stand for Malaysian humbug. Or Malaysian hanky-panky. A once proud airline is now a shadow of its former self. It is run by the corrupt and the incompetent – all puppets of the government. If the MACC were a responsible outfit, MAS would not be in the position it is today and many MAS senior managers, and government ministers, past and present would be languishing in jail. The new MAS-AirAsia merger is shrouded in secrecy. Tony Fernandes is just a public front and assumes the rôle of pilot in this move.Someone else has charted the route for him. Who is that person? One thing is certain. There is talk about solving the operational issues in MAS. 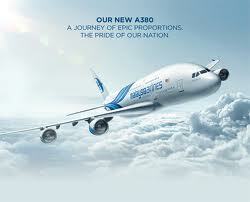 Will Tony be able to alter an UMNO-BN culture that has been allowed to corrupt all levels of the airline’s hierarchy? This UMNO-BN culture is mired in controversy. 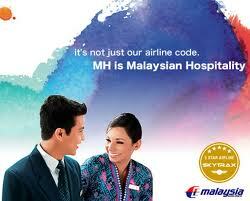 MAS, like other GLCs, is haemorrhaging money. Attempts to stem this outflow have been unsuccessful. Would any CEO of MAS be as daring as Peter Hill, the British CEO of Sri Lankan Airlines, who stood up against the Sri Lankan President Mahinda Rajapaksa in 2007? President Rajapaksa, together with his family and several officials, was in the United Kingdom to witness the passing out parade of Rajapaksa’s son from the Royal Naval College, Dartmouth. When Rajapaksa demanded that 35 seats be reserved for his entourage to return to Colombo, Hill refused to bump passengers off the flight from London. Hill may have been the passengers’ hero but his work permit was rescinded. Unfortunately, the work culture that exists in MAS is symptomatic of our government’s performance. Some dishonest MAS staff allegedly “steal” from the airline. Perhaps they are taking their cue from the government officials or from previous chairmen. Perhaps they see this as part of their perks and benefits. Cost cutting has reduced many allowances which they once enjoyed.One stewardess who declined to be named, said that she had lost track of all the items she took from the plane and according to her, “everyone did it”. In an attempt to justify her actions, she blurted, “What about the millions the chairmen have ‘stolen’?” She is wrong. It is billions. Not millions. How many politicians and their spouses have used their influence to obtain free flights or bullied airline staff for upgrades for themselves, their officials, friends or relatives? How many times have we heard of a spouse of a leading politician wasting taxpayers’ money on transporting her shopping via MAS and MAS Air Cargo? How many genuine passengers have been victims of alleged over-booking by MAS when it is well known that government officials were offered preferential seats over normal fare-paying passengers? It is also well known that MAS practices two sets of rules: one for Malaysians and another for westerners. One Malaysian mother and child were bumped off one flight to the UK. Under EU rules, cancellation of the flight meant they were due compensation. Only her teenage son was offered compensation because he had an English name. The mother was refused compensation despite pointing out the discrepancy to the senior managers in London. In one European airport, it is alleged that some members of staff have protected their long-term positions by fraternizing with senior politicians and VVIPs. In most companies, employees would not be allowed to remain in one posting indefinitely, but not, apparently, in this location. Another person alleges that it is common knowledge that a member of staff would use influence to perform “dodgy” upgrades for friends or people of influence and later be rewarded with “gifts”. Others allege, too, that this person removes items from the aircraft on a regular basis. Cheese, toilet rolls, toiletry bags, duvets and blankets from First and Business Class may not be classed as the crime of the century, but it is theft all the same. The modus operandi appears to be to wait till the flight and cabin crew, have left the aircraft. The security staff must be complicit in these thefts. Could there be hanky-panky with food and fine wines from the Golden lounge? One wonders why work colleagues have remained silent about the alleged petty theft. Are the senior station managers in these postings incompetent or in collusion? Perhaps theses managers don’t want to deal with the problem. Co-workers are probably afraid of whistleblowing because they fear they will be known as troublemakers. They wonder, “Can the system be trusted or will they will be identified and crucified?” Like the Malaysian public and corrupt politicians, employees are reluctant to report irregularities because they do not see much hope of redress. Perhaps the worst sort sycophancy is the one which is ignored by all because it involves VVIPs. In one European airport, it is alleged by many that some MAS employees turn up, even when they are not officially on duty, to attend to the VVIPs. This is no charitable act or selfless dedication to duty. The rewards are high. Cash and expensive, small personal electrical items are the norm but the most prized of all is a title. When even the bodyguards of the VVIPs proudly display their designer labels, which lowly worker can fail to be impressed?Which junior employee would refuse a title in exchange for making sure personal baggage and the truckloads of luxury goods are safely loaded onto the plane? Who dares ensure that the customs at KLIA will tax these items? It wouldn’t take a genius to trace the titles that are dished out to MAS employees at some of the overseas airports which are frequented by VVIPs. And it would surprise no-one that even those in menial positions in the airline, can acquire Datukships. The equilibrium at work must be disturbed as it is alleged that those conferred titles are known to be generally work-shy, are late for work, despite occasionally reporting for extra duty for VVIPs. It is baffling that these employees are allowed, allegedly, to have a stake, either directly or indirectly, in companies which provide airline services which are in conflict with MAS cargo services. Will Tony address the staff, who only attend to VVIPs and celebrities who give them benefit in kind? This is a form of bribery and theft from the airline, reminiscent of UMNO political tactics. Will he put pressure on those in charge of complaints? VIPs get their complaints seen to promptly. Others may take months. The truly unlucky customers have theirs swept under the carpet by lazy station managers. So what else is going on? Tony should whip the corrupt and inefficient MAS work-culture back into shape and the MACC should investigate these irregularities. Then again, pigs might fly. The MAS-AirAsia deal has been aborted. 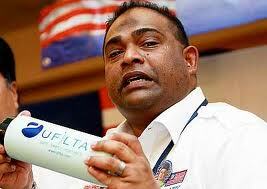 Agitated Tony Fernandes has decided to relocate the airline’s regional hub to Jakarta, Indonesia. But the problems of MAS remain. This is because the MAS culture is rotten to the core, and it is also trite to say that the culture has to change. Mana Ada Sistem is the reputation MAS enjoys. We need a Peter Hill, or Jan Carlzon who changed SAS (Scandinavian Airlines System) in MAS so that real transformation can take place. If the MAS Union is an obstacle to change fix it. 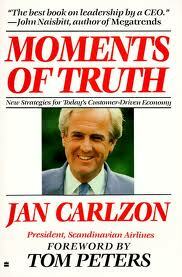 To operate an airline profitably every seat must generate revenue and every flight is making money. That is basic in management. It is, therefore, the duty of the sales people in our national airline to do their job. And they are not. Have you tried booking a flight to London? It is always full. But when you are finally given a seat and board the aircraft, you will find there are still plenty of seats available. The problem of overbooking must be solved and ticketing agents should be penalised for blocking more seats than they can sell . You can deal firmly with erring ticketing agents, if they are your cronies, friends or relatives. I myself cannot understand why certain number of Business class seats on domestic routes, for example, must be reserved for Royalty and Politicians. Can’t these VVIPs plan their trips? What are the private and political secretaries doing if they do not know the travel schedules of their bosses. It is that simple, yet it is not done. Posted in business, Finance, management, Marketing and Advertising, Politics. INTERVIEW: There may be no Malay intellectual more opposed to opposition leader Anwar Ibrahim than Kassim Ahmad. To him, Anwar is a “forked-tongued” politician and a slandering “traitor” to the nation who has been implicated in various issues such as accepting foreign funds. At the mere mention of his name, the controversial author’s tone hardened. He repeatedly expressed his desire to “spit”, “hang”, “behead” and “slap” the de facto PKR leader.“As I have said, I am willing to hang Anwar to death. Even now I am willing to shoot him”. 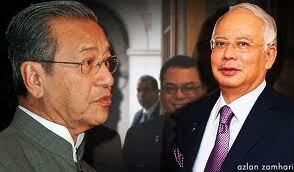 “He is evil,” said Kassim while defending Prime Minister Najib Abdul Razak on the Altantuya Shaariibuu issue. The supposed link between the Premier and the Mongolian national is just “slander” by Anwar, he told Malaysiakini at his home in Kulim.The authorities need not fear taking action against Anwar despite his oratory skills, because he has been accused of repeatedly lying, he added. Even Pakatan Rakyat is uneasy with the Opposition Leader, he charged, citing DAP chairperson Karpal Singh’s “slip of the tongue” on the non-Malay Prime Minister issue. The interview with Malaysiakini had not even begun when Kassim read out a letter in The Star criticising Anwar in relation to foreign observer groups at the BERSIH 3.0 rally. The international group on an electoral system fact-finding mission consisted of Anwar’s friends, alleged the letter, among other things. Kassim then went on to heavily criticise PAS spiritual adviser Nik Aziz Nik Mat , saying he feels that Nik Aziz is too deified by his followers. His criticisms were vague, but he frequently mentioned the culture of “feudal ulama (religious scholars)” in the Islamic party. He is known to be critical of the scholar “caste” in Islam. Shifting to fellow comrade PKR senator Syed Husin Ali’s joining of Pakatan, Kassim said the former PKR Deputy President was just “being influenced”.Syed Husin was formerly with Kassim in Parti Sosialis Rakyat Malaysia (PSRM). 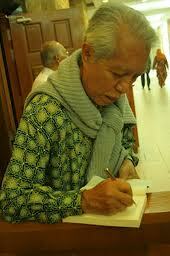 Kassim headed the leftist party from 1966 to 1984, and was succeeded by Kampo Radjo and then Syed Husin. “When Anwar was sacked (from UMNO and the government in 1998), thousands came to listen to him speak. He claimed that it was a people’s uprising. I said masya-Allah, (Adolf) Hitler also gathered millions,” he said. However, Kassim’s ‘cold war’ with Anwar may have begun even earlier in 1986, when he believed that Anwar was behind the banning of his controversial book Hadis: Satu Penilaian Semula (Hadith: A Re-evaluation). Anwar conspired with the “scholars” to pressure him despite initially agreeing with him “in principle”, he claimed.In the 1990s, Anwar blocked his proposal to hold a dialogue with Perak mufti Harussani Zakaria on the contents of his book, despite Dr Mahathir Mohamad’s supposed approval, he added. Even his first meeting with Anwar was not encouraging, when the former Angkatan Belia Islam Malaysia (ABIM) leader arrived 45 minutes late, he revealed. Posted in Anwar Ibrahim, civil society issues, Democracy, Governance, History, Justice, Politics. Instead of demanding for the restoration of their right to freedom of expression, these professionals are allowing themselves to be used as a propaganda tool by Najib. The latest group of professionals to fall prey to Prime Minister Najib Tun Razak’s charm offensive are the cartoonists. If this thought is not depressing enough, UMNO appears to have politicised everything from hawkers to households, and car tyres to cartoons. The event ‘You, PM and Cartoons: Cartoon and Animation Exhibition 2012’ had been billed as the largest gathering of cartoonists and animators, but conspicuous by his absence was Malaysia’s greatest and most well-known political cartoonist, Zunar (above). In the past few months, Najib has preyed on FELDA settlers, petty traders and taxi drivers. He has rained goodies on them, given them cash handouts and made promises, which he probably does not intend to keep. Last weekend, the Central Market played host to cartoonists and animation artists in the cartoon and animation exhibition. 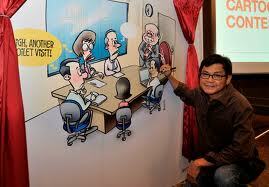 It was a joint effort by the Konsortium Cartoonist at Work (CAW) and Kelab Putera 1Malaysia (KP1M). Posters and banners for the event included the ‘1Malaysia’ logo. UMNO Youth Exco, Sohaimi Shahadan and President Kelab Putera 1Malaysia, Abdul Azeez Abdul Rahim (of the Somalia Fiasco) are believed to be the two main people behind the scenes. Sohaimi is alleged to have instigated the cow-head scandal in front of the Selangor State secretariat, he was behind the harassment of Ambiga after BERSIH 3.0 and he is also implicated in the IMPad scandal. Observers have asked why the cartoonists are allowing themselves to be used as a propaganda tool by Najib. They appear to be seduced by awards, inclusion in the Malaysia Book of Records and offers of cash, when they should instead, demand that their rights and freedom of expression are restored. It was reported that the event had scored a milestone in the Malaysia Book of Records as the largest gathering of cartoonists and animators. This was disputed by various people who allege that of the 356 supposed cartoonists, only 50 were actual cartoonists whereas the rest were those who had just signed up to participate in the event. Najib praised the work of cartoonists and presented awards and prize money to them, because they ‘helped strengthen racial unity’, but he said that “provocative and inciteful work, which could lead to disunity and discord must be avoided”. Around RM300,000 had been allocated via KP1M, for the formation of Yayasan Kartunis 1Malaysia; however, the details of this organisation are unspecified. 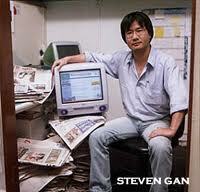 He said, “Cartoonists and animators have an important role in development and progress. Humour in the jokes must insert messages on solidarity, cooperation, tolerance and togetherness to uphold the 1Malaysia philosophy,” and he urged them to “translate and communicate all government policies in a light and relaxed way easily understood by society”. 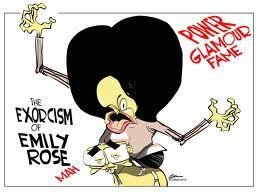 Najib has taken the unprecedented step of banning the use of caricatures in the forthcoming GE-13. Zunar’s depiction of corruption, excesses by the self-styled “First Lady” Rosmah Mansor, the murder of Mongolian model Altantuya, the Scorpene scandal and the corruption of the judiciary, make stimulating reading. Sources close to Zunar said: “He refuses to be a part of this programme because it is a political programme, not a cartooning programme. He feels that cartoonists are being used by political leaders for their own agendas. 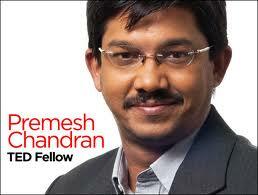 He criticised the selection procedure whereby politicians decide who receives the awards. He said that it would have been more appropriate to have a selection committee of lecturers in the cartooning field, other cartoonists and writers in the creative world. Awards were given to 10 other cartoonists and animators including Mior Sariman Mior Hassan for the Revolutionary Cartoons category, Jaafar Taib (Cartoonist with dedication); Hassan Abd Muthalib (Father of Malaysian Animations); Lim Kok Wing (for Innovative Artwork) and Reggie Lee (Community Cartoonist-above). Zunar claimed that with the award and prize money as sweeteners, cartoonists are beholden to UMNO and will refrain from criticising the government: “Why do the cartoonists not demand their rights and the freedom of expression? “Does this mean that by binding the cartoonists’ hands and feet with law and rules, he can gain support from the cartoonists? Cartoons should be encouraged to flourish so they can evolve and thrive with freedom to create. It must not to be used to support government policies”. Zunar said that the Prime Minister should learn to accept humour as positive criticism of his policies and work. He described ‘1Malaysia as a symbol of corruption and said that Najib has detained cartoonists who are critical, banned their books and restricted their freedom, using acts such as the Printing Presses and Publications Act and the Sedition Act. And it is clear, as far as the Mahathir family goes, politics come first. “I do hope she will realise what she is doing is not good for herself, not good for the government party at least. She should also be sensitive about her brother who is contesting in the election,” Mahathir said during an interview with online television station The Malaysian Observer (MobTV). He had been asked to comment on Marina, an AIDS/HIV activist and open supporter of the BERSIH rallies for clean elections – two issues that Mahathir is openly and vehemently against, but which Marina apparently endorses. Just a day ago, Mahathir warned that allowing the LGBT community rights would lead to the end of ‘mankind’. Today, he publicly warned his daughter not to get carried away with her volunteer work and end up fighting for the rights of Lesbian, Gay, Bisexual and Transgender folk. “She never said she supports this; I hope she doesn’t. She cared for this people but she has to draw a line between them and the idea that being homosexual is okay, or men marrying men is okay,” said Mahathir. The former Prime Minister who ruled Malaysia for 22 years from 1981 to 2003 also let slip he did not like Marina to associate herself with BERSIH, the movement for free and fair elections as he believed it had been hijacked by the Opposition. 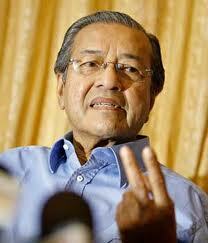 However, Mahathir skirted the issue of whether he supported the principle of clean polls. This is not surprising given that his critics have often accused him of massive gerrymandering and even offering citizenship to foreign workers if they voted to keep his UMNO-BN coalition in power. And in reminding Marina to be ‘sensitive’ for Mukhriz’s sake, Mahathir revealed his own insensitivity not only by putting his daughter’s interests lower than her brother’s, but also by blaring to the public that she had “no ambition”. 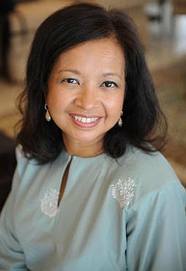 Marina is Mahathir’s eldest child and despite his current obsession in making sure Mukhriz lands the Kedah Chief Minister’s post, it is well-known that she is his favorite offspring and their father-and-daughter relationship enviably strong. Nonetheless, it would be interesting to ask Marina what she thinks of her dad’s latest comments – has his thinking become antiquated with age or is he just another Asian dad, cherishing the sons as serious business and the daughters as mere decoration. Posted in civil society issues, Democracy, Elections, Human Rights, Politics. English footballer Ian Wright once said: “I’ve got the passion but no idea of tactics – I’d be like a black Kevin Keegan.” Is this an apt description of Prime Minister Najib Abdul Razak, the wannabe football player? We were wrong to assume that Najib has lost sleep and hair from worrying about the likely outcome of GE13. Najib must have been busy in his backyard, heading balls into the net. Employers also worry that Najib will contract football fever again. In 2010, the Malaysian team won the AFF Suzuki cup against Indonesia. Patriotism cost companies dearly. Absent workers meant that orders for goods were unfulfilled, and those who turned up for work, had to be paid ‘public holiday’ rates. Cynics mocked Najib and wondered if he would declare a month-long holiday should Malaysia win the World Cup. 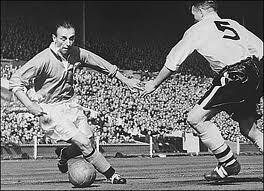 It is widely known that soccer is a ‘beautiful’ game but is it a gentleman’s game? UMNO is not known for its sportsmanlike behaviour.Most soccer coaches would tell the budding player that if he were to practise hard enough, he might be able to turn professional. The end justifies the means; BN has had 54 years of practice to ‘win’ every match by any means, including foul-play and match-fixing. To achieve success, a football team must have a strong defence and a dependable core of strikers and wingers who are prepared to take risks. A good coach will warn you not to be motivated by glory, that good sportsmanship is vital, and to desist the urge to hog the ball or show off. Both Najib and Rais Yatim, his Minister for Information, Communications and Culture, have rejected the rakyat’s demands for free, clean and fair elections. They lied about the 250,000 turnout for BERSIH 3.0 and contrasted this with the 66th anniversary UMNO celebrations at Stadium Merdeka, which they claimed was orderly, well attended and far superior. Najib may have claimed that 100,000 people gathered in Stadium Merdeka, but that does not mean he has the support of Malaysians or the backing of the Malay community. 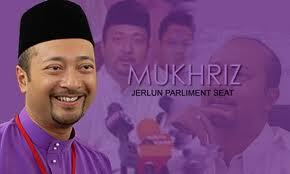 He is aware he must win GE13 at all costs. The memories of former premier Abdullah Ahmad Badawi’s leadership of UMNO – and BN’s losses in GE12 in 2008 – are fresh in his mind. Ian Wright once said: “Without being too harsh on David Beckham, he cost us the match.” When Gordon Banks said, “The goalkeeper parried the ball or, as we used to say in my day, he couldn’t hold it,” he might as well have been describing Abdullah. On hindsight, UMNO members might also reflect on Yossi Benayoun’s words: “We played like a bunch of drunks”, as they remember GE12. A word about the Opposition team would be appropriate. Brian Clough once said: “The FA didn’t offer me the job as England manager because they thought I’d make too many changes, stir things up and cause them problems…and they were bloody right”. His remarks remind us of Anwar Ibrahim’s bust-up with former premier Dr Mahathir Mohamad. 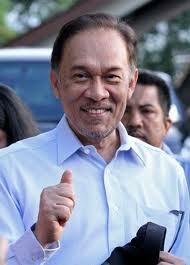 Today, Anwar and the Opposition coalition, with its long list of reforms, are causing problems for BN. Najib’s team coach has to be Mahathir. Before he left Arsenal, Thierry Henry said: “I am not going to leave. Never. I am staying here for life.” Weary Malaysians are finding the spirit of Henry in Mahathir. 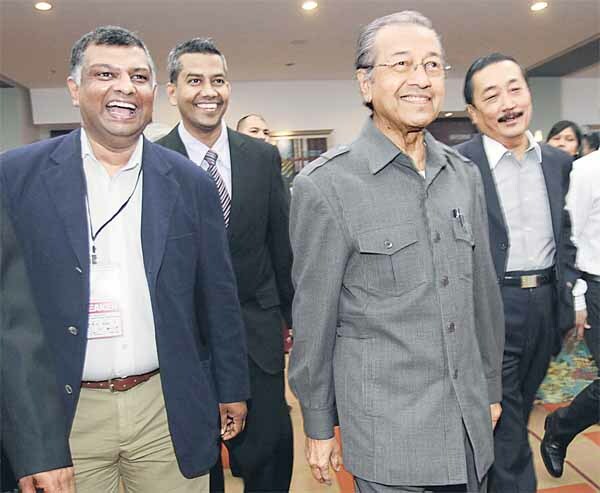 Despite his retirement, Mahathir still dabbles in Malaysian politics. We are exasperated with the EC’s handling of Malaysian elections and again, empathise with Lineker: “My granny could probably have managed Brazil to World Cup success.” We feel the same way about the EC, or Najib and GE13. Posted in Elections, Governance, Politics.